Section 117 – Then you will know the truth, and the truth will set you free. The “Korean War” never really ended. North and South Korea did not make peace and the rogue North Korean regime which has nuclear weapons, and a massive army, continuously engages in sabre rattling and provocations even nearly 70 years after the conflict ended. As volatile as the situation seems now it was much worse in 1950-1953 when civil war between both Koreas pulled in America and China and arguably could have unleashed nuclear war. What was suppose to be a quick conflict became America’s first major war of the “Cold War” and saw dramatic advances and retreats, major victories and setbacks, and ultimately stalemate within a single year. However, despite its forgotten status and indecisive ending the “Korean War” arguably had a better legacy than most of America’s major wars of the 20th Century. Korea is like the Poland of East Asia being sandwiched between great nations which have historically wanted to occupy it either as a buffer zone, or launch pad, against enemy states. The Mongolians tried to invade Japan from Korea, China and Japan went to war over Korea in 1894-1895, Japan and Russia did the same in 1904-1905, and Mao was motivated to intervene in late 1950 during the “Korean War” when American forces approached the Yalu River. From 1910 to 1945 Korea was a de-facto colonial possession of the Japan which used it to support her occupation of Manchuria in 1931, her brutal war of conquest against China from 1937-1945 and skirmishes against the Soviet Union. Korea’s fate after “World War 2” was settled at the “Yalta Conference” in early 1945 where America offered the Soviet Union many enticements in the Far East to join the War against Japan which the former assumed would last a few years. America would continue the island hopping campaign across the Pacific to Japan as well as intensify its firebombing campaign against Japanese cities and naval blockade to starve the Japanese islands of food and resources. Meanwhile the Russians would attack the Japanese in Manchuria and advance down the Korean Peninsula to further tighten the stranglehold around Japan. The Soviets invaded Manchuria and crushed the Japanese army there but Japan was forced to surrender unexpectedly via the late development of nuclear weapons which were dropped on Hiroshima and Nagasaki in August 1945 as the Soviet Union entered the war. With Japanese forces surrendering en masse Russia and America rushed to liberate Japanese occupied territory and it was arbitrarily agreed to split their occupational zones in Korea at the 38th parallel. As such Korea was divided at this line between what became a communist regime in North Korea backed by the Soviets and a pro-west dictatorship backed by the Americans in South Korea. With the “Cold War” heating up in Europe, China, Vietnam and elsewhere from 1945-49 Korea was not preordained to become a major flashpoint between Communism and the West. America and the Soviet Union were concentrated on Europe and the Chinese Communist Party had just taken over China and were focused on consolidating their rule. However, the North Korean regime was obsessed with reunifying the Korean Peninsula and wanted a green light from the Soviets and Chinese to do so via military means. This was given as America seemed unlikely to fight for Korea as they had provided little military aid and resources to South Korea versus the considerable modern forces the Soviets built up in North Korea. America’s failure to include South Korea in their pacific defensive perimeter as articulated by Secretary of State Dean Acheson in early 1950 probably supported this impression. Thus the Communist Bloc gambled North Korea would swallow up her southern neighbour without serious complaint, or retribution, from America and her allies. The “Korean War” began June 25, 1950 when the much stronger forces of North Korea invaded South Korea. The North Korean forces made quick headway against southern forces who fell back in disarray. Against Soviet expectations America joined the war to help South Korea because they did not want to give the impression America would tolerate blatant communist aggression. However, the small US forces sent initially from Japan suffered reverses against the well equipped North Korean forces and fell back as well. Soon only a small bridgehead around Pusan on South Korea’s coast was all that remained as many expected a Dunkirk like situation where American forces would retreat to Japan in defeat. Yet things began to tell against North Korea. America quickly gained aerial supremacy and started providing close air support for allied forces as well as interdicting North Korean supplies. Additionally, the North Koreans began to suffer logistical difficulties as their lines of communication became severely stretched during their impressive advances. American and UN reinforcements also slowly trickled into what was left of South Korea to hold the line. After several close calls during aggressive North Korean attacks against the Pusan perimeter the US and South Korean forces rallied and managed to prevent what was left of South Korea from falling. What really doomed the North Korean campaign was America’s daring amphibious assault at Inchon in September 1950. This was risky given the treacherous tides around Inchon, the fact the area was far behind enemy lines, and lack of intelligence regarding the area. However, General MacArthur’s gamble paid off as the operation went brilliantly and defeated the few local North Korean forces as most of their army was fighting around the Pusan perimeter. MacArthur remains a controversial figure in military history but he deserves credit in this case. The results were nearly instantaneous as the North Korean forces in South Korea became cut off from support and resupply and were quickly routed while American forces liberated South Korea. Of the 130,000 North Korean soldiers who crossed the 38th parallel to invade South Korea only 30,000 managed to retreat to safety. At this point American and South Korean forces could have stopped at the 38th parallel and declared a ceasefire. However, the UN and American government gave MacArthur the green light to cross the border and invade North Korea. While MacArthur is generally blamed for the subsequent Chinese intervention and expansion of the war this is not completely fair. Rather than order MacArthur to halt at the 38th parallel while they debated their options the American government and UN goaded him on. Unlike today in 1950 the 38th parallel was not an internationally recognized border and Truman and his advisors were tempted by the prospect of unifying Korea under a pro-American state and to roll back communism there. Therefore Defence Secretary George Marshall told MacArthur to be “unhampered” by moving across the de facto Border, the UN set up a commission of re-unification and re-habilitation for Korea, and South Korean forces initially crossed the 38th parallel to be followed by American forces a week later. Meanwhile China became nervous as American forces advanced up the Korean Peninsula. While MacArthur had initially been told to only have South Korean forces near the Chinese border this was later relaxed as American officials assumed Chinese warnings about intervening in the war if allied forces kept moving north were bluffs. This would prove to be a grave miscalculation. Mao Zedong and the CCP had only just taken over China in 1949 after decades of fighting against the often western backed Chinese Nationalists as well as Japanese forces in “World War 2.” As previously noted Japan used Korea as a spring board to occupy Manchuria in 1931 and support her war against China from 1937-45. As such it is understandable that Mao was afraid not only of a potential unified Korea allied to America but that it could also potentially serve as a base for America to attack Communist China. On the other hand Mao and the Communist Bloc were hardly innocent bystanders. The Soviet Union and Communist China had given North Korea the necessary material support and green light to invade South Korea while America had more or less forgotten South Korea to focus on Europe. North Korea and the Communist Bloc started the war and while Truman made the decision to come to South Korea’s aid there were never any American plans to expand the war into China. Admittedly MacArthur was tempted by this but there was never any real chance of America doing this as the war came as a surprise to Truman and Americans wanted the war ended as quickly and cheaply as possible. Given that America’s defence budget in 1950 was a mere tenth of what it had been in 1945 America would not have been able to seriously attack China even if she had wanted to. In many histories of the conflict MacArthur gets a disproportionate amount of blame instead of American policymakers, and the UN, that did not adequately gauge the likely consequences of crossing the 38th parallel which obviously worried the Chinese. In the event despite China’s recent turbulent history, and wariness of Western powers, Mao’s advisors were generally against intervention in the war but he overruled them and gambled America would not escalate the war unduly if China entered the conflict. This suggests a more prescient allied policy regarding Korea and stopping at the 38th Parallel might have had a good chance of ending the war in late 1950. On the other hand since Mao was tempted to intervene in Korea even before the UN forces crossed the 38th parallel and made the decision to do so well before these forces came close to the Yalu river suggests that both sides did not do as much as they could have to avoid escalating the conflict. While Sun Tzu recommends in “The Art of War” to “know the enemy and know yourself” it is clear America and China in 1950 knew themselves but not each other, especially regarding intentions. Either way Chinese forces, lightly equipped and mobile, mostly escaped American detection while being mobilized near the Yalu river in late 1950 and after being unleashed produced a series of reserves on American, and allied, forces and made them retreat from North Korea and much of South Korea once more. America’s mechanized forces were relatively spread out, their lines of communication stretched, and at a disadvantage in North Korea’s broken terrain while the Chinese foot borne army utilized their numerical superiority, and mobility, to exploit the terrain to often surround and ambush American forces. However, while Chinese forces deserve credit for inflicting reverses on a superior equipped and technological army the extent of the damage has often been exaggerated. Certainly battles such as “Chosin Reservoir” suggests that parts of American retreat (especially regarding American marines) were conducted with considerable skill, the Chinese took disproportionate casualties throughout this campaign and whatever defeats the US Army suffered it was never routed or lost a significant amount of prisoners. During the whole war approximately 7000 American soldiers were captured and this was a small number compared to the other major combatants as well as the total number of American soldiers who served in Korea. Perhaps the worst American losses were political and symbolic. Not for the first time in history was it promised American forces would be home by Christmas and given North Korea collapsed in the autumn of 1950 this did not seem impossible. But China’s intervention in the war upset this expectation and as American forces fell back, and suffered significant losses, the American people were shocked. In this period MacArthur failed in his capacity; not only did he fail to foresee and prepare for Chinese intervention (having dismissed numerous intelligence reports) but his conduct of the American retreat was not stellar either as he alternated between despair and arrogance. Luckily for MacArthur Truman did not sack him as he felt American soldiers in Korea, as well as the American people, would be demoralized and lose confidence in the war effort if such a legend was fired during an ongoing battle. Unfortunately instead of being grateful MacArthur committed one of the gravest sins a military commander can do in wartime: Publicly criticizing his political superiors’ policies. MacArthur was by all accounts an egotistical primal Donna used to getting his way and being publicly adored. At this point he forgot his place and criticized Truman for not giving him the power to expand the war against China and do measures he felt would improve the military situation. Yet whereas MacArthur’s ideas would have made sense in an expanded war against China Truman wanted to limit the war and de-escalate the conflict. Unsurprisingly America, and her allies, were not keen on starting World War 3 over Korea and disagreed with MacArthur’s suggestions. 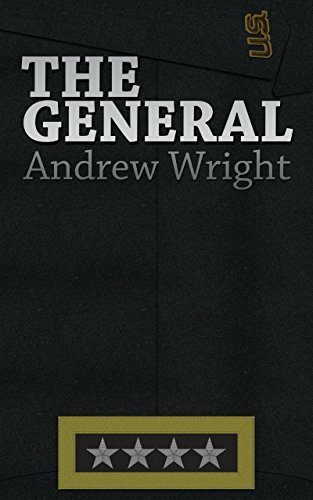 Therefore MarArthur was sacked for his impropriety and replaced by General Matthew Ridgway who had a solid military career, had done an excellent job managing the retreat of American forces, and was politically astute not to question the American government regarding policy. In the spring of 1951 things looked bleak for America and South Korea as Chinese forces crossed the 38th parallel, took Seoul and kept advancing south. However, Communist forces suffered logistical difficulties once more as their lines of communication became stretched, America and her allies continued bringing in more manpower and resources, and Ridgway revitalized his forces. If MacArthur defeated the North Koreans by a brilliant maneuver at Inchon Ridgway would stop the Chinese cold with attrition via firepower. Chinese forces may have done well against complacent American forces that were dispersed, and at the end of their supply lines in North Korea, but the farther south they advanced the harder resistance became. The numerous but lightly armed Chinese forces soon became cannon fodder against reorganized American forces with prodigious firepower from a menagerie of armour, artillery and airpower. Thus for the fourth time in the war an army was defeated and forced to retreat across the Korean Peninsula which became accustomed to misery, suffering and death. Ridgway, more methodical and sensible than MacArthur, moved carefully and managed to liberate Seoul and advance up to a line roughly along the 38th Parallel. There his forces dug in, consolidated and waited for an expected Chinese counter-offensive. At this point the Chinese misread the situation as badly as MacArthur had in late 1950 and felt confident they could attack and repeat their successes of the previous autumn and winter. Unfortunately for them with a few exceptions such as the eventual over running of the brave Gloucestershire Regiment in the “Battle of Imjin River” their attacks were broken up by superior firepower and well manned defences by America and her allies. Given China did not have the industry, expertise and technology in 1951 point to create a modern military to tackle these obstacles there was no chance she could break the deadlock. On the other side America had plenty of these assets but not enough troops, or political capital, among her populace or leaders to make the requisite efforts, or sacrifices, needed to break the stalemate either. The only conventional power that could have broken the stalemate were the strong armoured forces of the Soviet Union which probably could have intervened and kicked American forces out of Korea but at the risk of seeing American nukes falling on Moscow and Leningrad. As such after China’s failed attempt to win a decisive victory in the spring of 1951 both sides knew the war would probably end in stalemate. What is really absurd, and sad, is that the war continued on, although on a much smaller pace and intensity, for two years. There were many skirmishes, America napalmed Korean cities to ash, and both Korean regimes committed many war crimes and atrocities but the last two years became increasingly anti-climatic. Eventually the death of Josef Stalin, China and North Korea conceded on a few negotiation points, and subtle American threats regarding nuclear weapons finally resulted in a ceasefire that effectively ended the war but did not lead to peace between North and South Korea. Regarding prisoner exchanges over 20,000 Communist prisoners refused to be repatriated versus 300 South Koreans and 20 Western soldiers which perhaps illustrates even at this early stage of the “Cold War” that Communism was not seen as a pleasant form of governance. 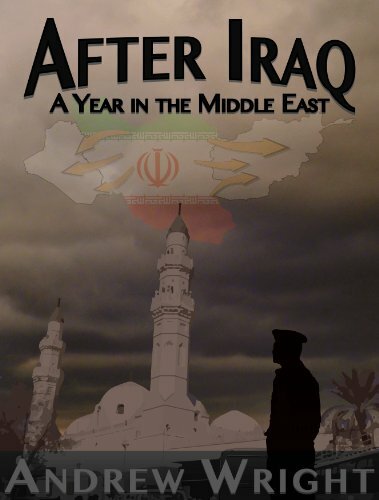 Although the war did last 3 years most of the crucial events and fighting occurred in the first year. This period saw incredible advances and retreats up and down the Korean Peninsula. Like the “Western Desert Campaign” of 1940-1943 territory switched hands multiple times as North Korea initially overran all of South Korea except the Pusan perimeter only to be defeated at Inchon and lose all but a small corner of North Korea to American and allied forces. Then China attacked America’s over extended forces and pushed them out of North Korea, took Seoul and was seemingly on the verge of overrunning South Korea as well. However, American forces were reinforced, rallied and then first stopped the Chinese advance and then counter-attacked, liberated Seoul a second time and regained much of the line at the 38th parallel. Finally China launched a fifth round of major fighting by attempting to gain a decisive victory and once this failed stalemate was inevitable. Therefore in less than a year the fortunes of war turned no less than 4 times between the respective sides, favouring one and then the other in numerous successions. This is a rarity in military history. Pyongyang was taken by American forces then re-taken by Chinese forces while Seoul changed hands four times! Unsurprisingly most battles, serious fighting and casualties occurred during this first year. 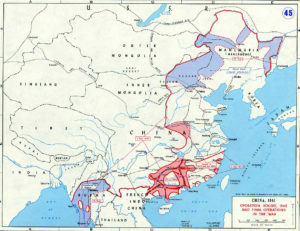 Forty percent of all allied casualties occurred under MacArthur’s brief tenure which did not include China’s “Fifth Phase Offensive” in the spring of 1951 or Ridgway’s subsequent counterattacks which pushed the Chinese north of much of the 38th Parallel. Meanwhile North Korean forces had been gutted during the first year and as China became more sensible regarding tactics her forces suffered less casualties in the last two years as well. Thus the period from late June 1950 to July 1951 witnessed at least more than 50% of all military casualties during the war. After this the tempo of the war slowed down and later events of the conflict are not rememberer as well. Even military history enthusiasts who know the main battles and events during the first part of the war would be hard pressed to detail the chronology from mid-1951 onwards. Given after mid-1951 no impressive advances or victories occurred this is understandable but also regrettable. Perhaps it is one reason why the “Korean War,” sandwiched between America’s finest hour in “World War 2” and her ultimate humiliation and failure in Vietnam, is a mostly forgotten conflict. What about the results of the war? Unsurprisingly everyone claimed victory. America claimed victory despite losing her chance to unify both Koreas and China claimed victory although failing to overrun South Korea. South Korea claimed victory despite much of her territory being overrun four times while North Korea claimed victory even though her invasion failed, she had to be bailed out by China and most of her urban centres were levelled by bombs and napalm (America dropped more bombs on North Korea than she used in the “Pacific War”). As such Jan Halliday and Bruce Cumings’ observation that “Each side proclaims that it won, yet each actually seems to feel that it lost” initially appears indisputable. In an operational sense the war resulted in stalemate as neither side decisively defeated the other and territorial changes were minor (both sides roughly occupied the 38th Parallel again but the Americans and South Korea gained a bit more territory overall). China was able to present the war as a victory to her people by claiming she had saved North Korea from occupation as well as fighting the American superpower to a standstill. Certainly North Korea was secured as a buffer zone to protect China against foreign aggression and China’s reputation was enhanced by the war. Meanwhile Americans were less satisfied by the war’s outcome as they were disappointed by the stalemate, heavy casualties, and indecisive results so soon after “World War 2.” Indeed Harry Truman’s approval rating fell as low as 22% during the war and was only 32% by the time he left office. These are among the lowest approval ratings of American Presidents in modern times. Only Nixon had it worse with a 22% approval rating in January 1974 and 24% when he left office. George Bush Junior did better than both with an approval rating that never went below 25% even during the worst days of the “Iraq War” and left office with a 34% rating. Even the erratic, divisive Donald Trump has so far beat these figures with initial approval ratings hovering in the 40s but admittedly falling into the lower 30s recently. Ironically Lyndon Johnson, the architect of America’s most divisive war in Vietnam beats all of them as his lowest approval rating was at 34% but he left office with 49%. To be fair to Truman he is well regarded in more recent times (much more so then the other Presidents listed here) and is generally cited among the top ten most effective American Presidents. Despite Truman’s poor approval ratings America and South Korea were the real winners in terms of strategic objectives and long term effects. 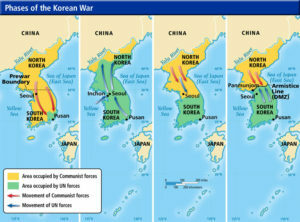 The “Korean War” was an attempt by North Korea, and her communist supporters, to change the status quo in East Asia by force whereas the main strategic goals of South Korea and America were generally defensive (the abortive effort to reunify Korea in late 1950 being mostly opportunistic). Therefore a stalemate technically benefited American and South Korean interests. Seen from the context of 1950 where Russia had just acquired nuclear weapons, the CCP had recently triumphed in the “Chinese Civil War,” and where Communist insurgencies were popping up from Malaysia to the Philippines the “Korean War” gave America a chance to draw the line in the Far East. From 1950 onwards America responded more to Communist actions including defending Taiwan, supporting nations against communist insurgencies, intervening more in the war in Indochina and tripling her defence budget. If the Communist Bloc hoped the “Korean War” would gain them an advantage they clearly miscalculated. To be fair this was a double edged sword considering the end game in Vietnam but with the eventual “Sino-Soviet Split” (whose genesis arguably dates from the “Korean War”) and end result of the “Cold War” no one doubts America and her allies won in the end. Likewise for South Korea the war was terrible and tragic but at least she escaped the conflict free from North Korean occupation. Fast forward several decades later and South Korea’s dictatorship transferred to a democracy while the nation became rich and prosperous. Ironically given she did the most to provoke the conflict North Korea was the biggest loser in the “Korean War.” By failing to overrun South Korea, her cities reduced to ruin, becoming a virtual vassal state of Communist China, and most of her captured soldiers refusing to return home, North Korea’s results in the war were less than satisfactory. As North Korea continues to be the last holdout of Stalinism, and is associated with concentration camps, famine and oppression no reasonable or objective person could credit her with victory of any sort. What of the costs of war? While the “Vietnam War” is disproportionately cited as a bloody, dirty war the mostly forgotten conflict in Korea was worse. Whereas the “Vietnam War” saw 2-3 million casualties in a decade of war the conflict in Korea saw 3-4 million casualties in 3 years (with a disproportionate amount caused in the first year). As in most conflicts casualty figures are varied and controversial but there is no doubt China and North Korea suffered the worst casualties whereas South Korean casualties were a bit lower and America and other combatants got off much lighter. Chinese casualties were almost exclusively militarily and are estimated between 400,000 and 900,000 dead, wounded or captured. North Korea probably lost between 650,000-750,000 military casualties while South Korea likely suffered 600,000 military casualties (although some estimates suggest approximately 900,000). Both Koreas had disproportionate civilians casualties numbering perhaps 1 million for the South and maybe as high as 1.5 million for the North (in the North mostly due to American bombing and privations and in the South due to most of the land war being fought on her soil). American casualties were roughly 50,000 dead which was similar to Vietnam. America’s UN allies and a few Soviets airmen should not be forgotten but their casualties were minuscule versus the main combatants. Finally we should compare the “Korean War” to America’s other major wars of the 20th Century. Regarding both World Wars, Vietnam and the “Gulf War” only “World War 2” can be said to have benefited America as much as the “Korean War.” “World War 1” boosted America in the short term economically but America quickly withdrew into isolationism, the subsequent “Great Depression” set back America by a decade and she found herself fighting Germany and Japan twenty years later. The “Vietnam War” was not only a political failure for America but severely undermined her confidence in war making which she has never really regained. Meanwhile America’s best military showing in the “Gulf War” did not result in the expected settlement of Middle Eastern issues in her favour but instead helped usher in decades of terrorism, wars and instability which still plagues the region, and much of the world, today. Despite the looney rogue state in Pyongyang the legacy of the “Korean War” appears favourable to these outcomes indeed given the Far East has been relatively stable and growing more prosperous, and democratic, ever since. The “Korean War” was America’s first major war of the “Cold War” and despite the dramatic advances and retreats, triumphs and tragedies, disappointments and stalemate America and South Korea can claim victory. The Communist Bloc wanted to change the status quo in East Asia with this war and by meeting the challenge, and holding South Korea, America contained communism in the region and reassured her allies. The war was disproportionately bloody, even more so than the “Vietnam War,” but since South Korea is a prosperous democracy while the North is a Stalinist nightmare it is clear the South benefited more in the end. Thus despite being America’s forgotten war of the 20th Century the conflict in Korea had a better legacy than Vietnam, the “Gulf War” and “World War 1” whose long term affects were more mixed and less beneficial to American interests. Boyne, Walter. The Influence of Air Power upon History. South Yorkshire: Pen and Sword Books, 2005. Grey, Jeffrey. (2017). “Operations Big and Little Switch,” [Online]. Available: http://www.nj.gov/military/korea/factsheets/opswitch.html [2017, November]. Horne, Alistair. Hubris: The Tragedy of War in the Twentieth Century. New York: Harper Collins Publishers, 2015. Huessy, Peter. (2014). “The Four Great Waves of Defense Neglect: The Dangers of a Hollow Military,” [Online]. Available: https://www.gatestoneinstitute.org/4125/defense-neglect-hollow-military [2017, November]. Malkasian, Carter. A History of Modern Wars of Attrition. Westport: Praeger, 2002. Onesto, Li. (2008). “U.S. POWs during the Korean War,” [Online]. Available: https://www.globalresearch.ca/u-s-pows-during-the-korean-war/10050 [2017, November]. Roberts, Andrew. Great Commanders of the Modern World: 1866-Present Day. London: Quercus, 2011. The American Presidency Project. (2017). “Presidential Job Approval,” [Online]. Available: http://www.presidency.ucsb.edu/data/popularity.php?pres=36&sort=time&direct=DESC&Submit=DISPLAY [2017, November]. Wikipedia. (2017). “Korean War.” [Online]. Available: https://en.m.wikipedia.org/wiki/Korean_War [2017, November].